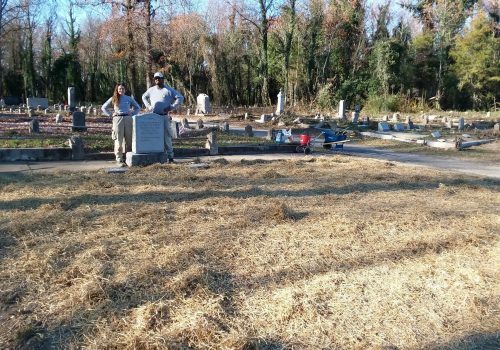 The East End Cemetery is a historical African American cemetery that has been neglected for a LONG time. We will help clean up the grounds to uncover grave markers so that they can be recorded on FindAGrave.com. There are no records of those buried at this cemetery so this work is important in helping folks find their ancestors as well as honoring those that are buried there. The work can be anything from mowing to pulling weeds to digging up old stumps to tackling layers and layers of vines. Jobs will vary, but most are labor intensive. At times and in certain areas, we will encounter bugs, poison ivy, thorns, and maybe snakes. We will do our best to give everyone a role to fill in light of anyone’s apprehension about such conditions. Regardless of the challenges, we will have a great time serving together! Thanks to Dodson Property Management for making us aware of this important need to care for our beloved city and honor our past. East End Cemetery is located next to the Evergreen Cemetery and by the much larger Oakwood Cemetery off of Nine Mile Road by I-64 exit 193A. The entirety of this project is outside, rain or shine. Many portions are shaded and we will do our best to accommodate work location requests. Intended to be a project for all to participate in, parents of young children will need to supervise their kids and be attentive to conditions. We recommend you wear denim jeans and heavy shoes or boots. Wear you LiftUp RVA t-shirt. We will have some available at the worksite. Volunteers should not wear leggings, shorts or open-toed shoes. Bring gloves as there is broken glass, pieces of rusty metal etc., on the site. There is no water available, so bring something to drink. We will have some coolers of water to refill your water bottles. There is a portable toilet available. Bring your sunscreen and bug spray. If you plan to work through lunch, bring lunch and a snack if you need one. We do not have a rain plan so we will work until it rains or we will work through the rain. Good heavy gloves to handle glass, briars, etc. East End is a historic African American cemetery in Henrico County, Virginia. Established in 1897 next to Evergreen Cemetery, East End is the final resting place of an estimated 13,000 people, among them some of the most prominent black Richmonders of the turn of the 20th century: Rosa D. Bowser, a pioneering educator and civic leader; Hezekiah F. Jonathan, a business owner and the vice president of the Mechanics’ Savings Bank (founded by Richmond Planet editor John Mitchell Jr., who is buried at Evergreen); William Custalo, the longtime proprietor of Custalo House, a noted bar and restaurant on Broad Street; and Dr. Richard F. Tancil, a Howard University–educated physician and bank president. Decades of neglect had obscured their graves and thousands of others beneath tangles of ivy, brush, and illegally dumped trash. Since June 2013, a small group of regular volunteers, along with many students and Richmond-area residents, have been working to reveal them, slowly uncovering not just long-buried headstones but an entire community. 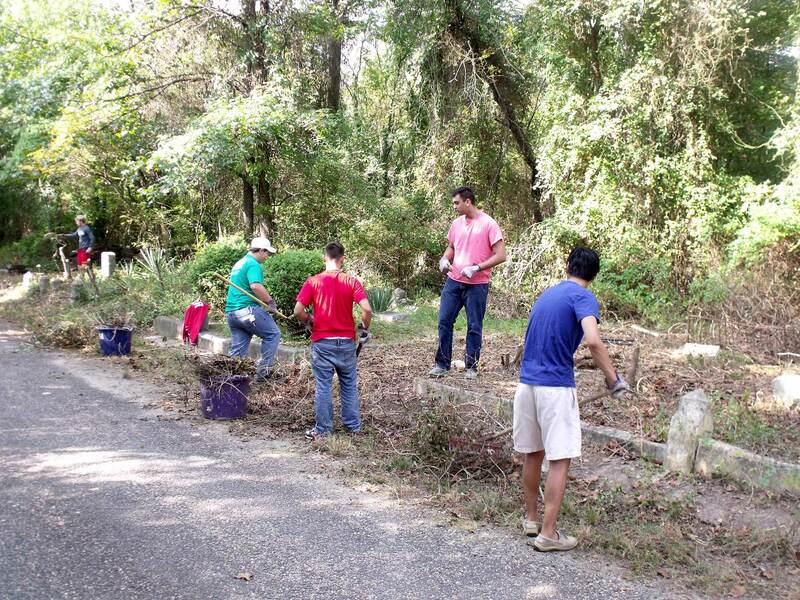 If you like whacking weeds, lopping branches, and discovering the history of your city, then you’ll enjoy the challenge of helping restore East End. We never know what we’ll find when we pull back the vines. She was born a slave and a slave she chose to remain. Slave to duty, a slave to love. which is the same as saying so nobly.